I have just finished and posted this project for Lorrie Boudreau Jonas and Alison Rogers. 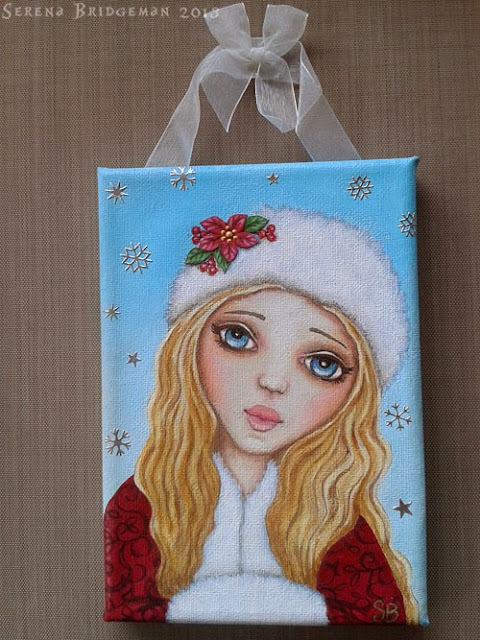 They are inviting artists around the world to get involved with this very worthy cause by donating a small 5x5 or 5x7 Christmas themed canvas for the Festival of Trees, to raise money for the Primary Children's Hospital. 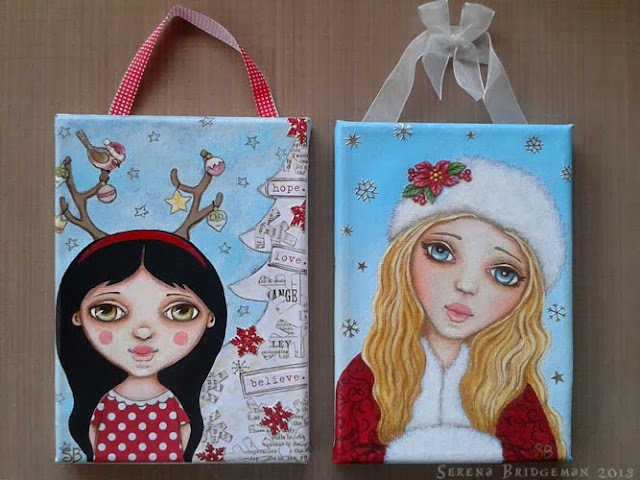 Here are my two mini mixed media canvases, slightly different styles. 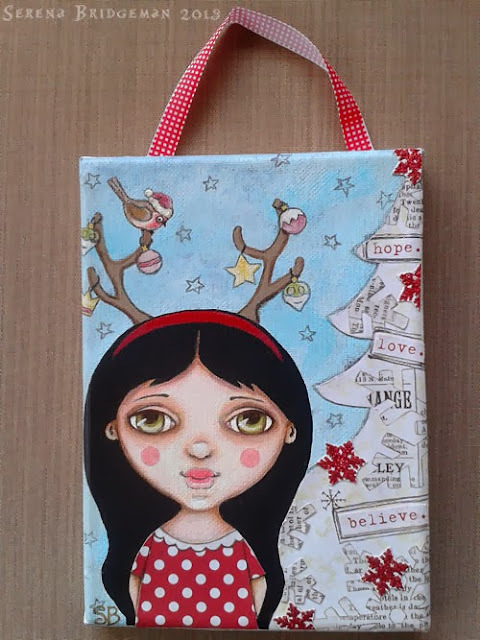 The reindeer girl's dress and tree are scrapbook papers with extra paper words and glitter snowflakes. I really enjoyed working on this one because of it's simple message. The Russian style girl has red scrapbook paper for the flower and leaves. Dimensional paint for the centre and acrylic paint for the highlights. Silver snowflakes stickers give it a little bit of twinkle along with pearlesent paint on her coat and berries on her hat. I'm afraid the camera hasn't picked it up. It was a lovely project to work on. I hope Lorrie and Alison get a lot of response to the event and I wish them every success. Until next time, happy creating and have a great weekend! So very beautiful. I just love the emotion that is communicated by the lovely images you create.